"It may be impossible to navigate where the field of gifted education is going without a deep understanding of where it has been. 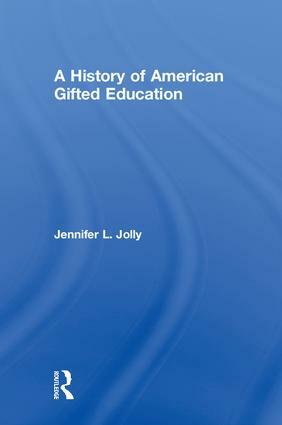 A History of American Gifted Education is an essential text for anyone who studies or practices gifted education. Jolly deftly narrates the people and events that shaped the conceptual foundations of the field from the end of the nineteenth century to the early twenty-first century." Jennifer Jolly is Associate Professor of Gifted Education at the University of Alabama, USA.